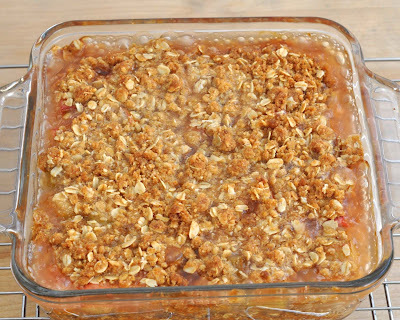 This is an adjusted version of my original Fruit Crisp recipe to be gluten-free, and even vegan if you substitute for the butter. 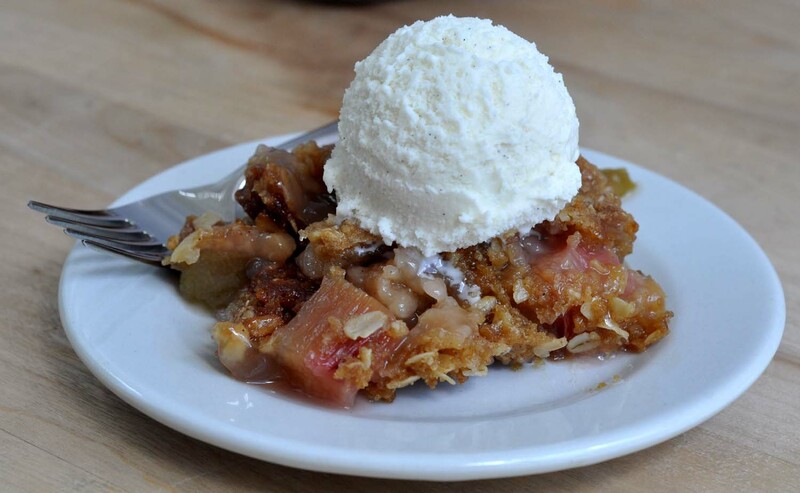 But whether you make it gluten-free or vegan, it's still AMAZING! 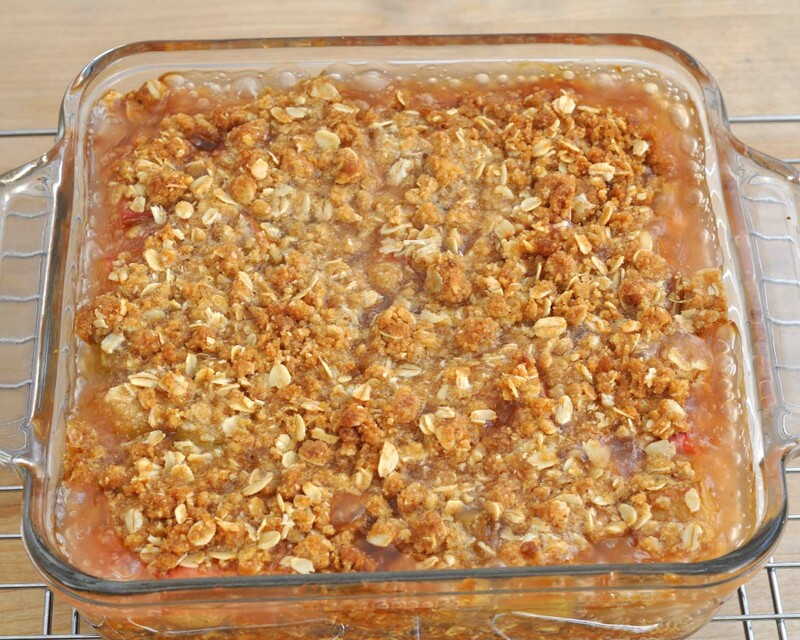 I always start any recipe with oats by toasting them. Spread them on a rimmed baking sheet, and bake at 350-degrees (F) for 5-10 minutes, until they start to turn golden an fragrant. Allow them to cool for about 10-15 minutes. 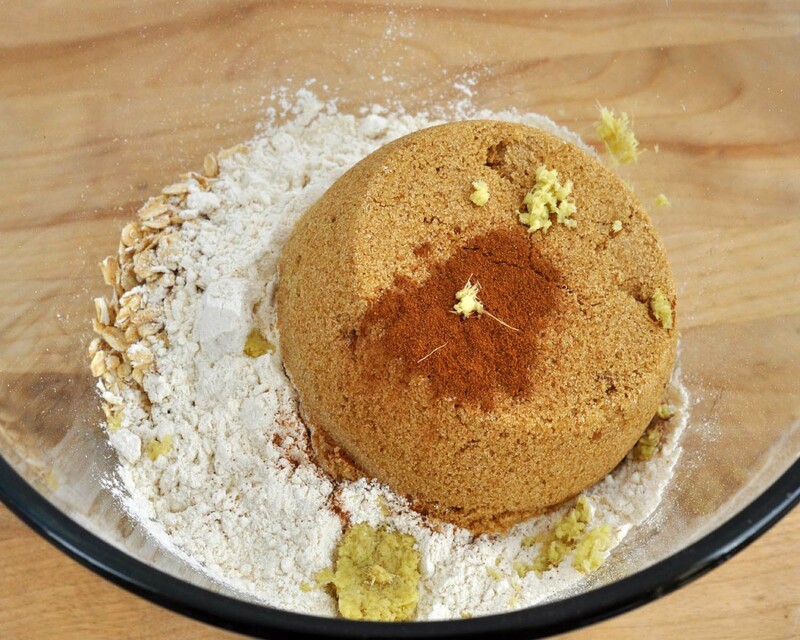 Place 3/4 cup of the toasted oats into a blender or coffee grinder, and grind until fine (like oat flour). 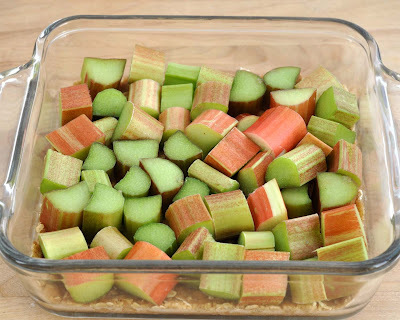 I like to add ginger to this crisp when I do rhubarb or strawberry-rhubarb. Fresh ginger is best. To grate ginger root, peel the outer skin. 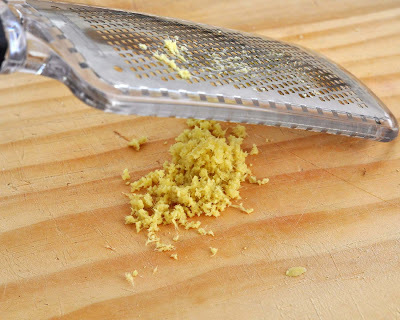 Then, use the small side of a grater or a Microplane grater, to grate the ginger. In a medium-sized bowl, combine oats, oat flour, walnuts, brown sugar, cinnamon and ginger. When the dry ingredients are well-mixed, add butter - cut into small cubes - with a pastry blender until mixture is like coarse crumbs. 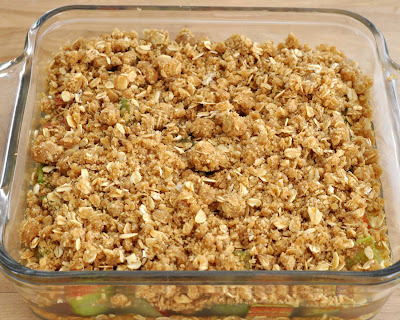 Top with the crust mixture. Bake at 350-degrees (F) for an hour, or until the top is golden brown, and the sauce is bubbling all around the edges. Wait at least 20 minutes before you cut into servings. Top with vanilla ice cream. Enjoy! 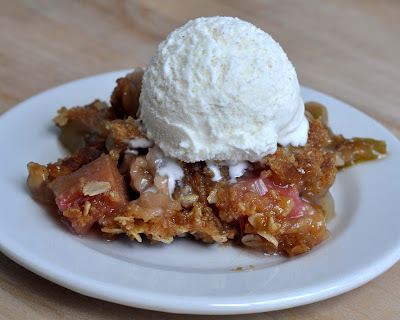 *Note: These are photos from my original crisp recipe, but the gluten-free version looks pretty much the same. I just forgot to take photos because I'm not baking as much lately.